Why should you use Computer Assisted Translation tools? More and more reasons appear every day, and the main one is that you will be a better and faster translator. While this kind of software only helps a translator by using past work via translation memory, the productivity increases over time. Why use Computer Assisted Translation tools? Using CAT tools, a translator is able to provide faster, better translations. The client can also benefit from this as the translation cost reduces, sometimes significantly with no compromises on quality. Even though there are many CAT tools on the market, some of them show similarities. Analysis reports produced by most translation tools such as memoQ translator Pro, Wordfast Pro or SDL Trados Studio 2011, include 100% matches, fuzzy matches and internal repetitions. Why would you use translation? In order to be accepted internationally, each business entrepreneur should search for means and ways to communicate faster. There must be a way to put an end to the language barriers that affects businesses of people worldwide. Because of this widespread demand, the linguistic communication services, has become a popular source of income for many. Many of the business sectors request the assistance of moneymaking translation enterprises who are rendering communication assistance to those who need it. These translation services can provide a good exchange of information and ideas from one end to another allowing communication schemes to be delivered accurately and efficiently. Misunderstanding can be minimized and a smooth flow of the business can be attained. From these communication service companies, exchange of information can be easily translated from one language to another. Other services that could be rendered would include translating business firm documents, e-mail interlingual renditions, translated information dissemination, proposals and web-handling transformation. Why translation tools are a good option? When a business needs translation, it needs a lot. Certain requirements are to be followed as consistency between translations, and a few other things. While those can be dealt with if the same translator is used over and over, and there is a terminology list, there is a better way, which beside other advantages, also brings cost savings in the long run. 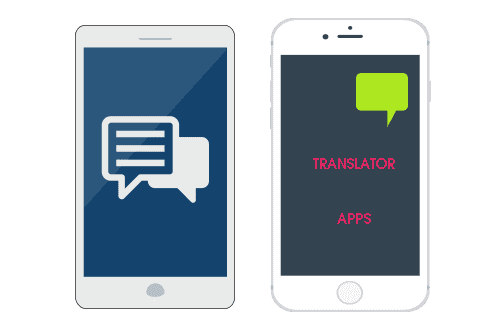 That is what translation tools can do: keep consistency across translations, and bring the ability to use previously translated sentences into current translations, thus cutting down costs.